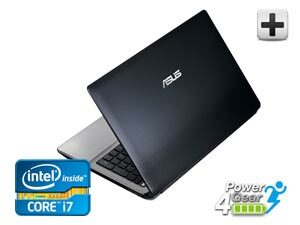 Powered by an Intel® Core™ i7-2670QM Processor with NVIDIA® GeForce® GT 540M with 1GB of DDR3 VRAM Graphics for brilliant and responsive HD entertainment, the ASUS A53SV-EH71 easily handles multitasking and entertainment on its brilliant 15.6" LED-backlit HD display. HDMI ready, supersize your high-definition media to an HDTV for up to 1080p visuals and 8 channel surround sound support. Experience faster data transfer with SuperSpeed USB 3.0. 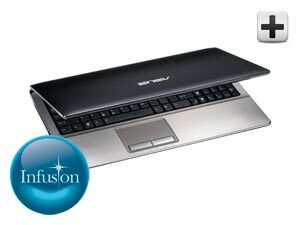 ASUS Infusion Technology gives this notebook a scratch-resistant coat with eye-catching style. ASUS IceCool technology with hairline brushed aluminum helps maintain a low temperature on the keyboard and palm rest area for comfortable computing even after the longest sessions. View larger Powered by an Intel® Core™i7-2670QM Processor with NVIDIA® GeForce® GT 540M with 1GB of DDR3 VRAM for brilliant and responsive HD entertainment, the A53SV-EH71 handles an assortment of daily tasks with ease. Equipped with ASUS Power4Gear, select from an assortment of power profiles via the Power4Gear hotkey above the keyboard that optimizes the system for your task at hand—giving the most performance or maximizing battery life. Enjoy the convenience of faster data transfer with the notebook's SuperSpeed USB 3.0. View larger The A53SV-EH71 has an array of built-in features that are specialized for ease of use. It features a Wave keyboard with numeric keypad and multi-touch trackpad to effortlessly type documents or navigate through your mobile world. 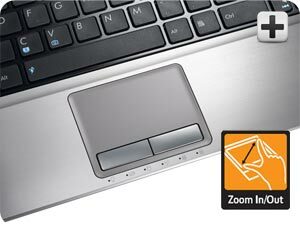 The A53SV-EH71 also has a spacious palm rest with ASUS Palm-Proof Technology where the trackpad intelligently distinguishes between your palm and finger to prevent errors for a worry-free typing experience. Using an exclusive dual-sided motherboard design, ASUS Ice Cool Technology places heat-producing components away from users to keep the palm rest and typing surface cool for utmost user comfort. View larger Compact and light, the A53SV-EH71 shows off a new streamlined design with ASUS Infusion Technology to give this notebook a scratch-resistant coat with eye-catching style. Opening this mobile wonder, you will notice a new streamlined design and texture made with ASUS Infusion Technology to retain the A53SV-EH71 looks and quality even during extensive, prolonged use. The power button also has a built in light indicator so whether you're in light or dark areas you always know where to find it. Keyboard: Extremely well laid out. Spacing between the keys is right, and feels very comfortable to type. Quite like my MacBook Pro keyboard, from which I had to switch to Windows for some research work which could only be done on Windows. Battery: I am still trying it out but from the looks of it, battery is decent. I think with normal settings for battery and brightness, and with wifi on, browser etc., it lasted for about 5 hours! Design: I like the no nonsense design of this laptop. The aluminium around the keyboard looks, and more importantly, feels great. As ASUS advertised rightly, it doesn't heat up during normal usage due to heat from the exhaust. ASUS really seems to have some genuine work on this laptop's design unlike every other vendor copying MacBook Pro's design with the recessed keyboard large touchpad and everything. I bought this during black friday week. I opened it up and have loved it from the get go. Everything has worked without any problems. I'm not a programmer but I'm also not computer iliterate. I expect things to work out of the box and this has done so very well. Multi tasking has been seemless, running Netflix while I back up the system while surfing the internet a little. The battery has performed as expected. 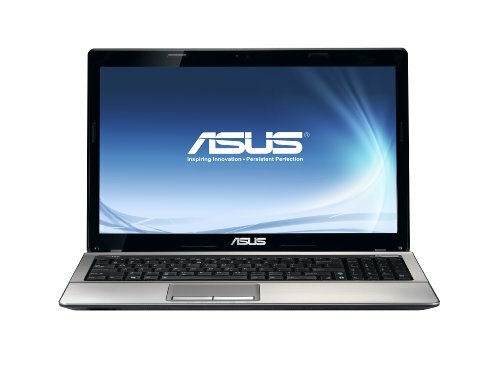 Windows and ASUS have preset performance levels that let you consume the battery in two hours or extend it out to five or six. I used the computer on a higher performance level for about 3 hours and it did great. 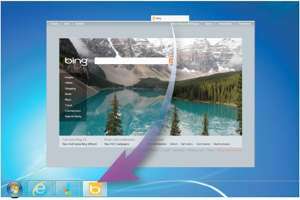 I love the touch pad that works great with a myriad of options when it comes to scrolling, zooming in and out, switching between screens and opening my computer. 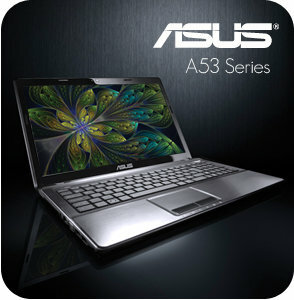 This is a GREAT laptop if you don't mind its thickness, although it is considered slim comparing to other 15.6 laptops. I had it for 10 days now. It is super fast & super quiet and the keyboard is super comfortable. The external finish is also stylish with high quality. Its i7-2670QM processor is among the most powerful CPUs in the market now. The dual Graphic card design is smart, practical but a bit tricky. I found that you can set up the default graphic card for each program in the system. So dual Graphic card means better balance between standby time and performance. 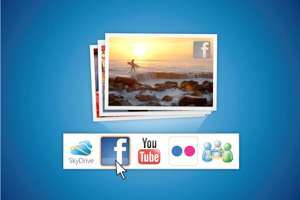 There are some pre-loaded softwares. You can remove some of it. But comparing to other computer companies, I'd say ASUS didn't put too much softtrash in its product.